According to CNNMoney.com "Kiss 4% mortgage rates goodbye." Kingley Park at Fresh Pond Reservation in Cambridge is a great place for sledding. A couple of days after the "Blizzard of 2010 kids, parents, and dogs are having fun in the snow. According to an article in Banker and Tradesman, Boston area home prices are faring better than most of the nation. Click here for the article. Home sellers want to maximize their sale price and minimize time on the market. Now that the vast majority of buyers begin their home search on the web one of the most important elements of real estate marketing has become the photos of the home. 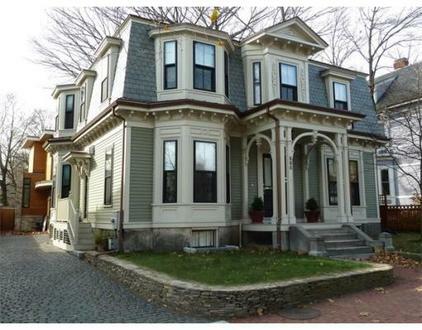 I previewed 378 Broadway, Cambridge today.Located in Mid-Cambridge 378 Broadway is a beautifully renovated 9-room Mansard Victorian. The asking price is $1,595,000. 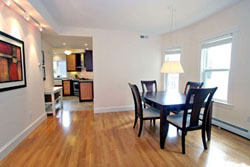 According to Banker and Tradesman, Boston Area Homes Defy Nationwide Trend, Gain Value In 2010. 3br, gar pkg, new kit. 2 garage, pets, in-u w/d, renov. We are proud to announce that this Dec 5th, 12:30 PM to 2:00 PM we will be hosting an Open House at 166 Summer Street , Somerville. This is an opportunity to visit this excellent House for sale in beautiful . Many consumers and agents think that the real estate market goes to sleep in the late fall, especially over the Thanksgiving holiday. This myth can actually be harmful because sellers are tempted to delay putting their home on the market or to take the property off the market at this time of year. The chances of the home selling if it is off the market becomes practically zero.